Suzuki launched the all-new Jimny last year in the international markets. The all-new compact SUV became an instant hit in the international markets, especially in Europe and Japan. Why has it become so popular in the international markets? Well, the answer probably lies in this video. The video shows Suzuki Jimny effortlessly surfing on the huge sand dunes in Dubai. The Jimny is accompanied with a few All-Terrain-Vehicles (ATVs) and video seen here has been taken from one of the ATVs that is following the Jimny. Dune bashing is very popular in Dubai and is mostly done by big SUVs powered by V6 or V8 engines. Even a lot of ATVs can be seen doing dune bashing here. However, the humble Jimny absolutely rocks it at dune bashing. The compact SUV can be seen climbing high sand dunes without any problem and following the tracks of the ATVs, which is quite difficult. The brilliant off-roading capabilities of the Jimny makes it so popular in the international markets. 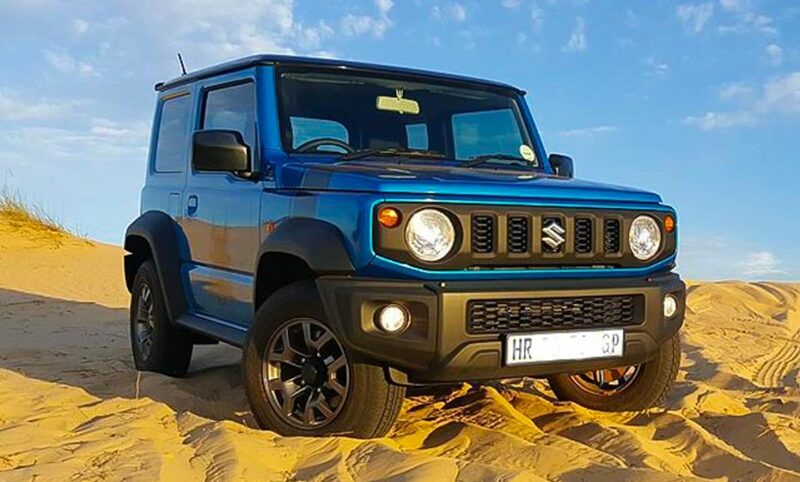 In Europe, Suzuki has stopped taking new bookings for the Jimny as the waiting period is reportedly crossed 12 months. Currently, the vehicle is only being manufactured in Japan and is exported to the international markets. The credits of the all-new Jimny’s capabilities can be given to its extremely lightweight body. The model seen in the video is the Jimny Sierra version, which comes with a bigger engine and features that make the body look rugged. Unlike the regular version of the Jimny, the Sierra gets flared wheel arches, and the body gets additional mouldings too. It gets powered by the 1.5-litre petrol engine that is also available with the facelifted Maruti Suzuki Ciaz and thew all-new Ertiga in the Indian market. The Jimny Sierra’s engine churns out a maximum power of 101 PS and a peak torque of 130 Nm. With the full options, the Jimny Sierra weighs only 1,135 kg, which is extremely lightweight for an SUV. The Jimny also gets 4X4 drivetrain with a low-ratio transfer case, which is extremely useful during off-roading. There is no news of the all-new Jimny getting launched in India. However, several reports suggest that the all-new Jimny may get built in India and get exported to the other countries to reduce the waiting time and reduce the pressure on the main plant in Japan.